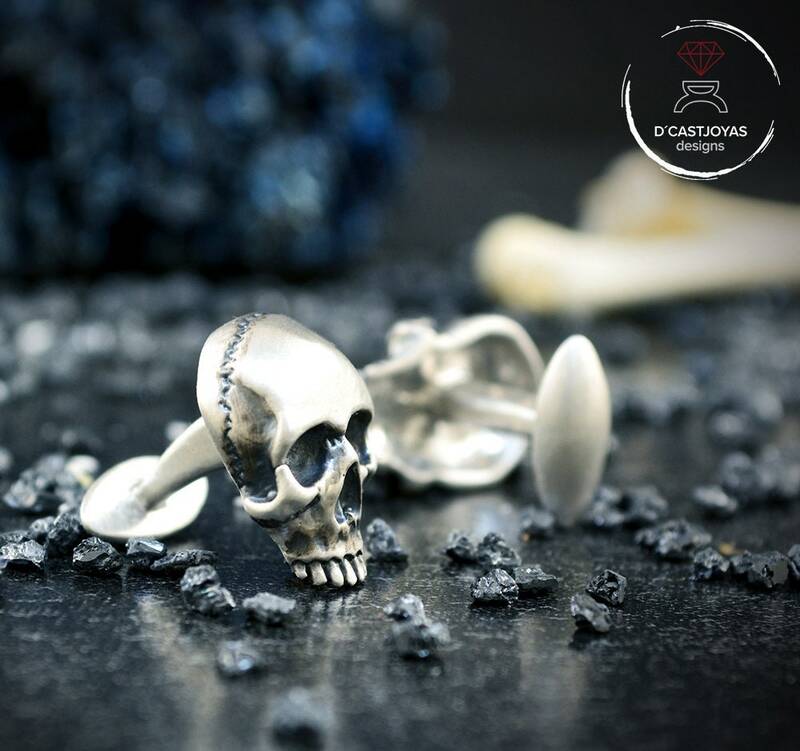 Incredible shirt cufflinks Solid silver skulls made in our workshop in Madrid, Spain. 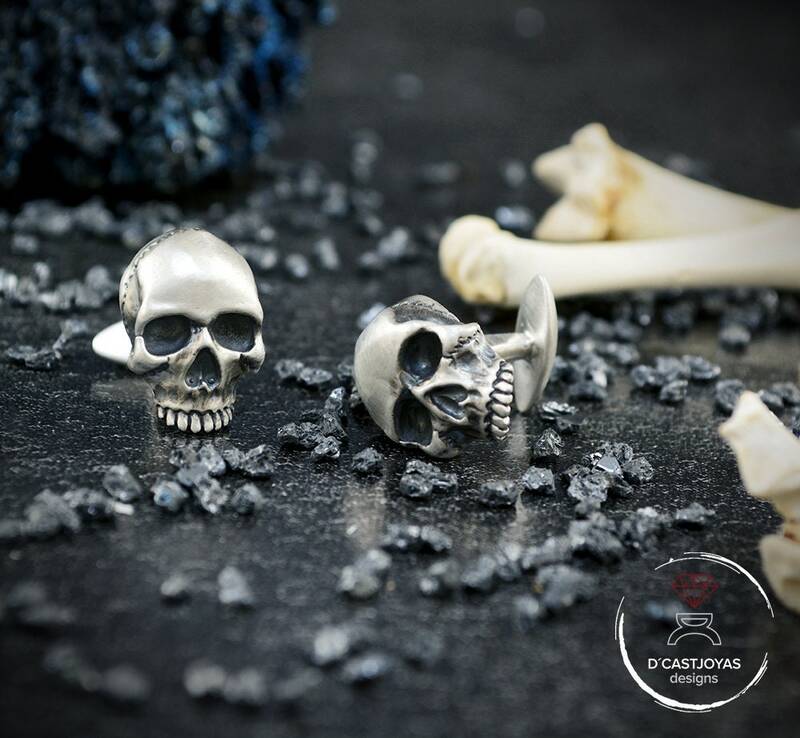 The whole work process is artisanal; there is no 3D here First we waxed the skull very carefully, looking for a perfect proportion and looking at all the details of the human skull. Then we pass it to the precious metal and then work in the place where we take care of the textures and finishes. 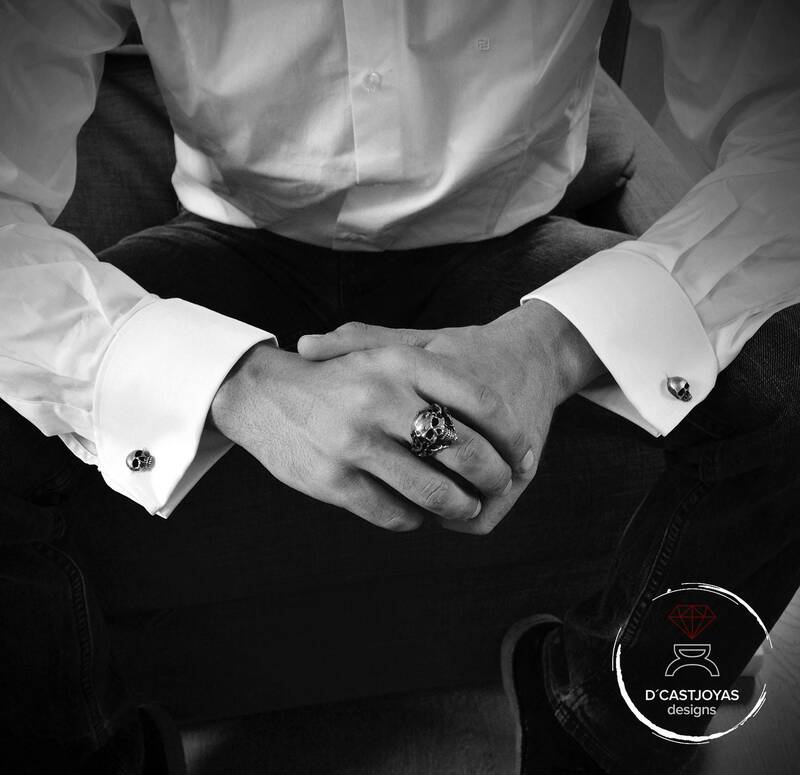 Like most of our designs, these cufflinks can be worn by both women and men. 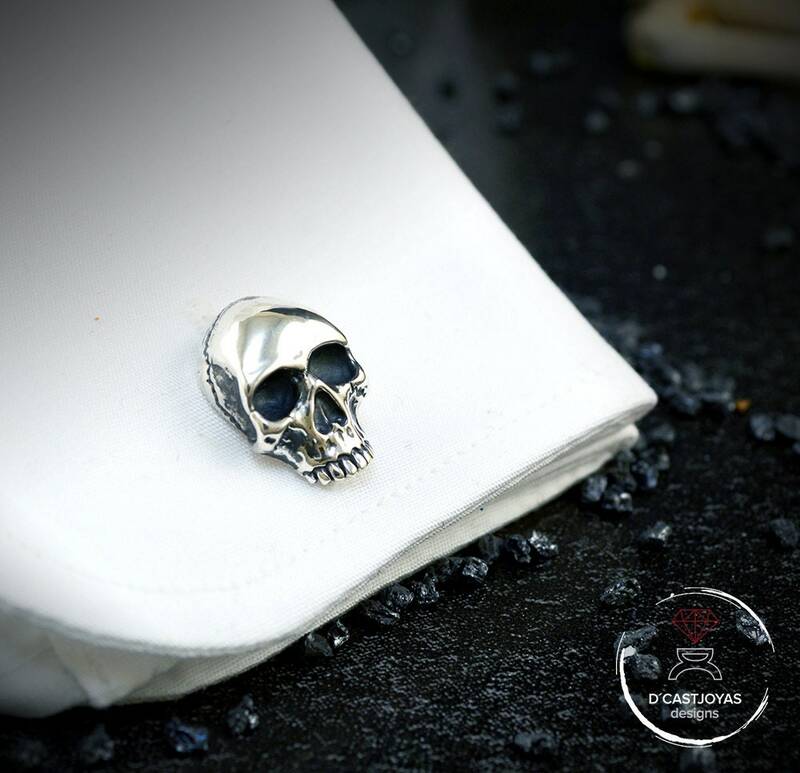 If you want to surprise on a night out or just going to work, the skull cufflinks are perfect and will give a touch of originality to your clothes. 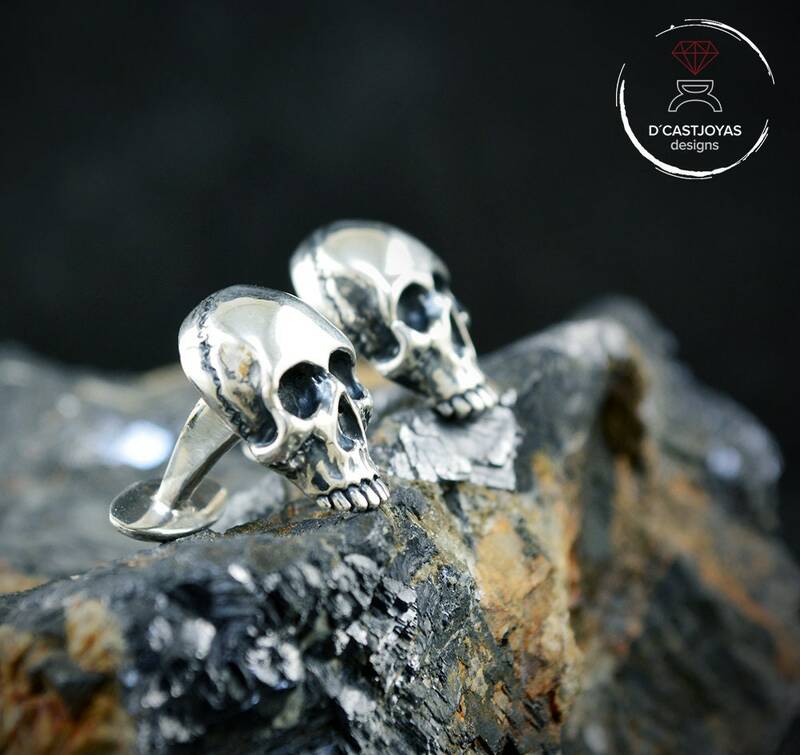 For lovers of skulls, of life, for those who like the look of motorcycles, Gothic or urban style. 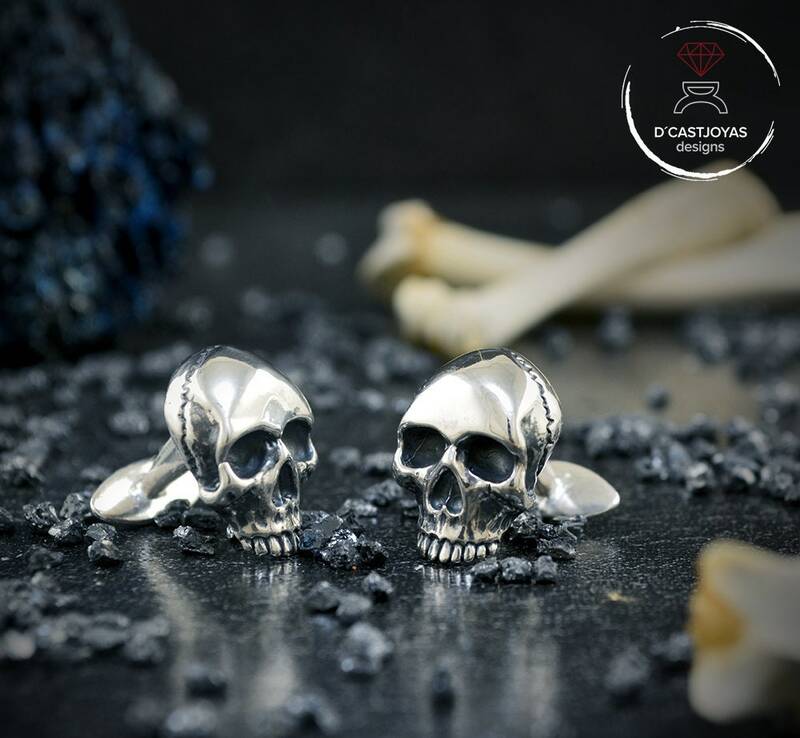 For all types of looks, this is an ideal complement. ** You can choose several finishes and materials: A matt finish or mirror shine. On the other hand you can leave it in silver or black silver tone. 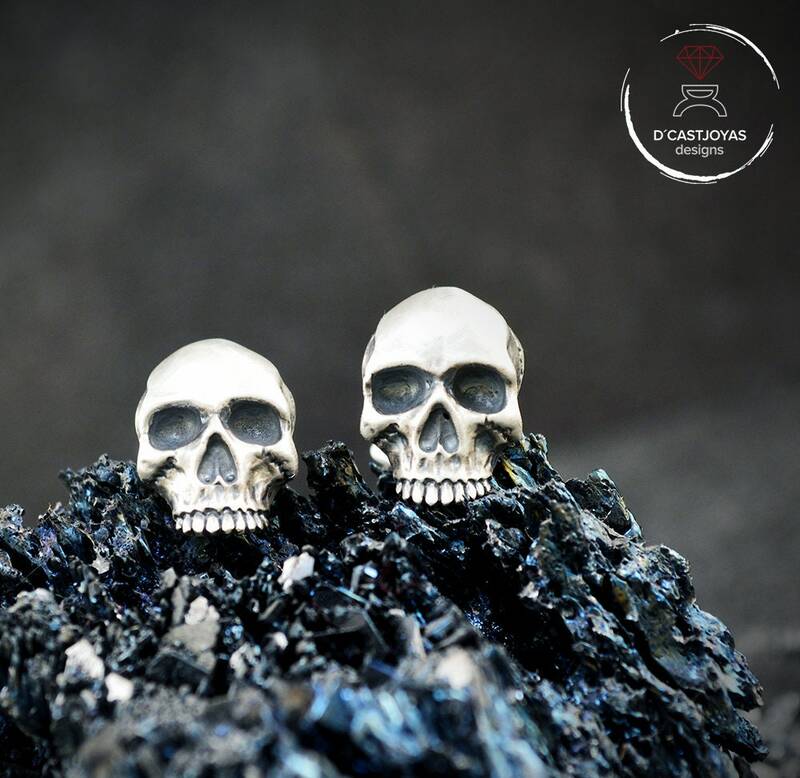 And if you want to differentiate yourself, we can give you with gold plated and rose gold plated. They can be spectacular! 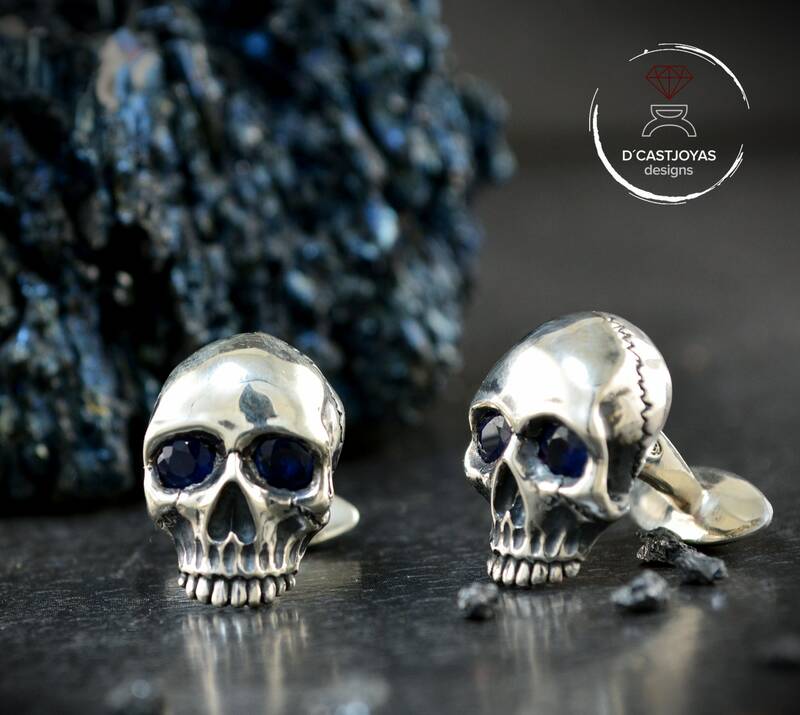 ** You can also customize them by adding some beautiful stones to the eyes: they can be natural or zircon. Tell us what you like most and we inform you about prices and availability. An excellent experience from ordering to delivery. 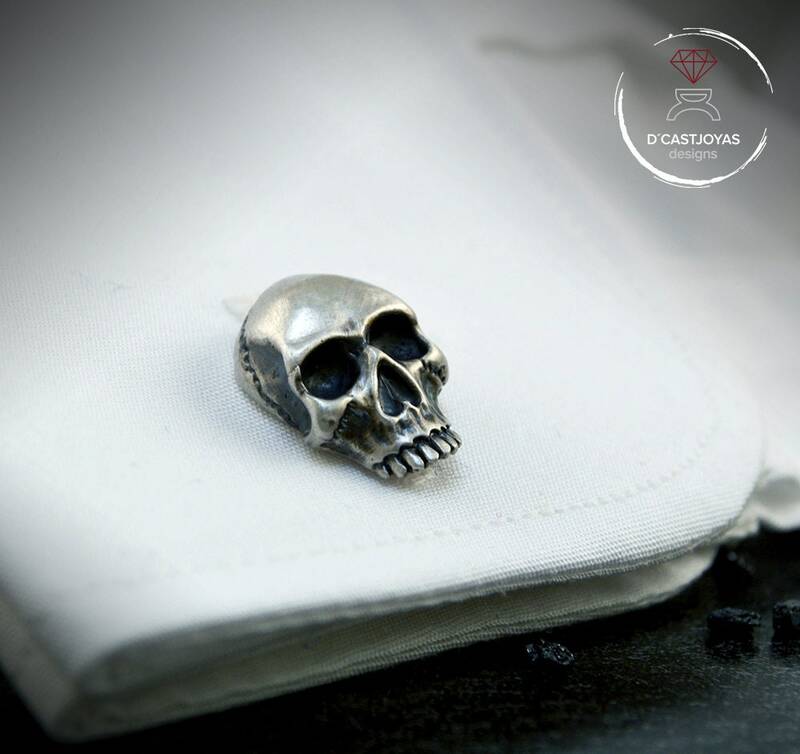 The cufflinks are naturalistic, detailed and beautifully finished. 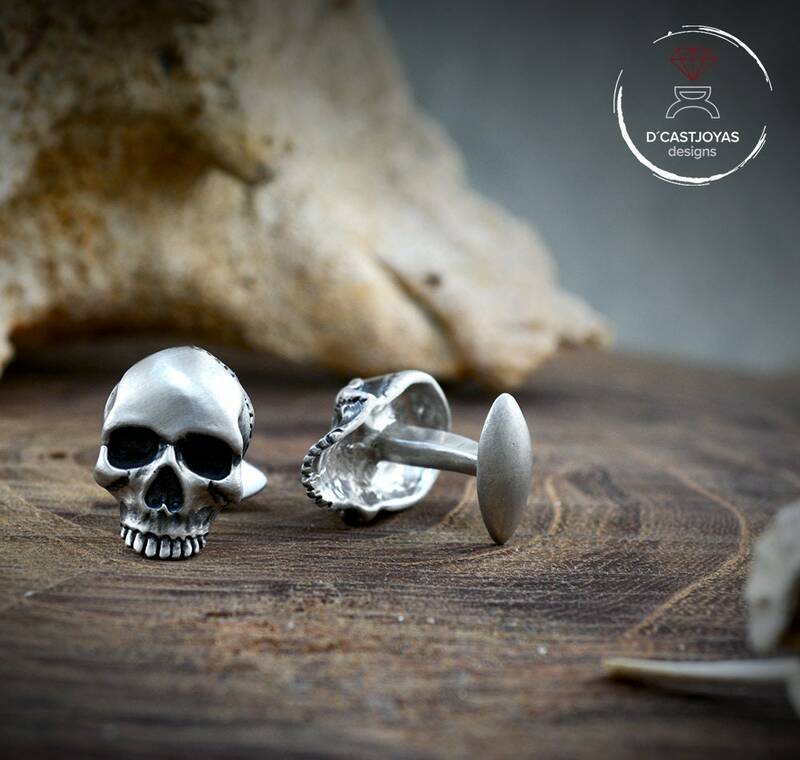 Delivery was very fast using DHL's express service - one day to get from the workshop in Spain to the destination in the UK. The positive feedback that D'CASTJOYAS receives is fully deserved. Producto muy bien acabado y con todo detalle. Envío rápido y excelente comunicación con el vendedor.